Yes! Its back again. The days all India have been waiting for. 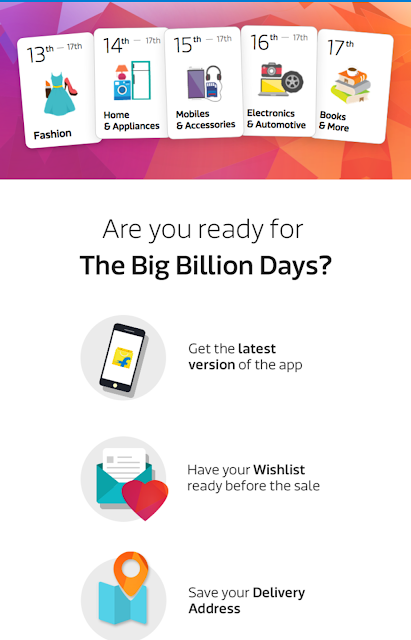 The Big Billion Day! Its better to save your card and Address details even before the sale. On 17th – Books and More. Here are 4 Great Reasons to Shop on your App! 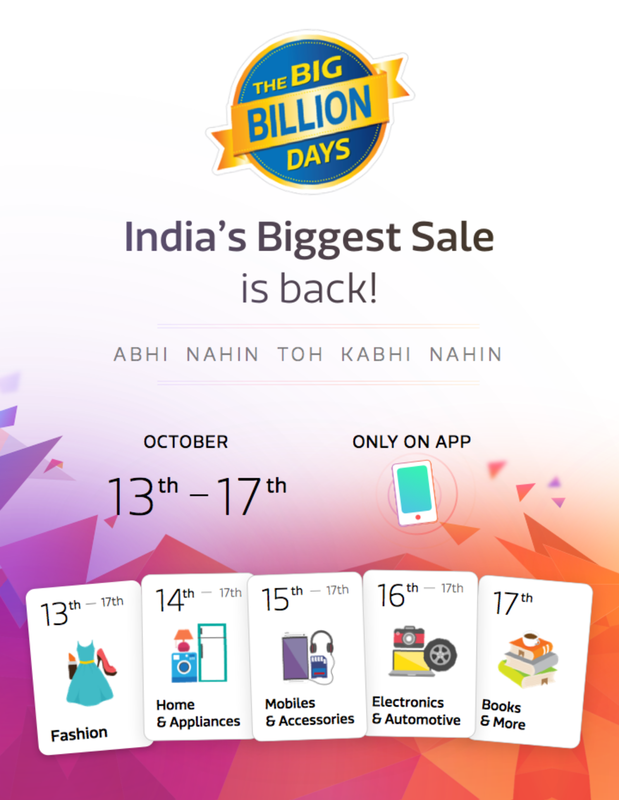 This entry was posted in Android and tagged FlipKart, shopping, tricks.